1. Renin is made by ________. 2. Patients with Addison’s disease ________. 3. Which hormone elicits the “fight or flight” response? 4. Describe how hormones regulate blood pressure, blood volume, and kidney function. 5. 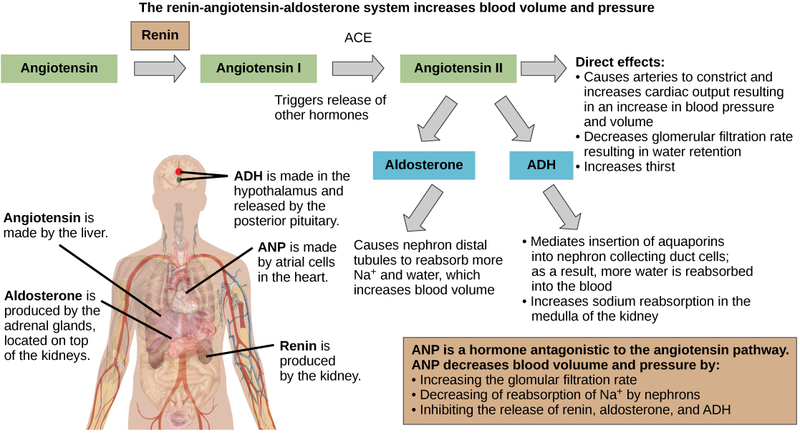 How does the renin-angiotensin-aldosterone mechanism function? Why is it controlled by the kidneys? 22.5. Hormonal Control of Osmoregulatory Functions Copyright © by laesoph. All Rights Reserved.